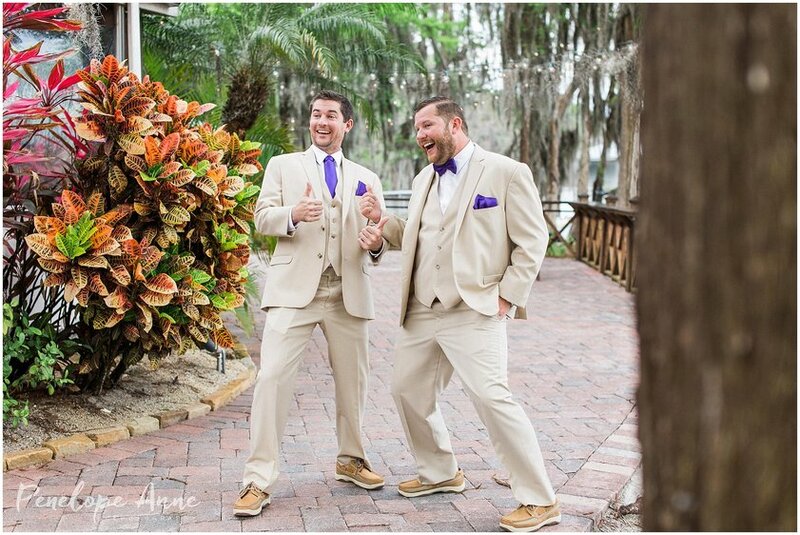 Penelope Anne Photography / Best Wedding Photographers in the Fort Myers & SWFL/ Fun Bold Vibrant Photography » Fort Myers Wedding Photographer, specializing in capturing the love story of the fun, bold, and vibrant couple. 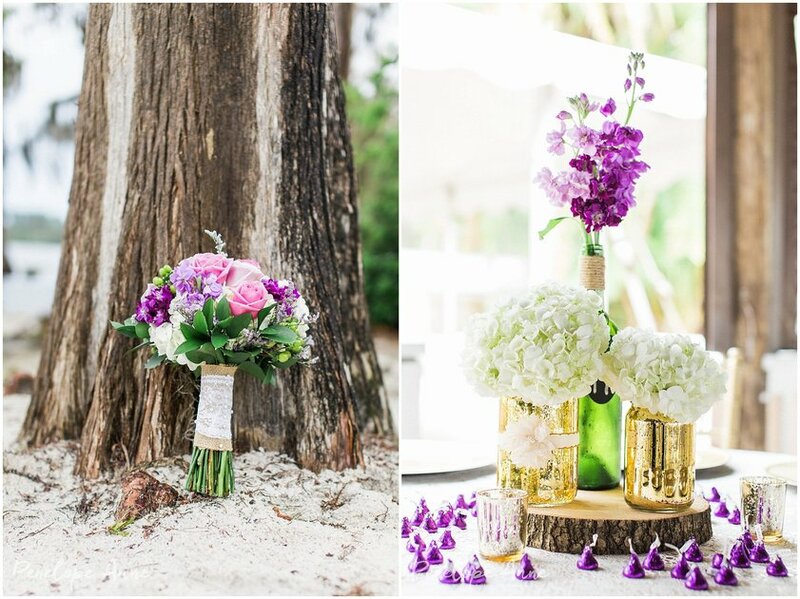 We service weddings throughout the State of Florida, including Tampa, West Palm Beach, Fort Myers, and surrounding areas. Last week, I had the pleasure of joining Melissa from Melissa Enid Photography, at Paradise Cove in Orlando, Florida for Jenn and Bud’s lovely wedding! The day started a little gloomy and stormy, but that didn’t put a damper on Jenn or Bud’s spirits! After getting rain all morning, the skies cleared up right before the ceremony, and the sun broke free of the clouds! We couldn’t have timed it better ourselves honestly! Now, let’s talk about making an entrance… Bud and his groomsmen arrived at the ceremony site by SPEED BOAT! Yes, you read that correctly! It was quite the awesome spectacle! I think everyone should arrive at their ceremonies by speedboat! Ha! As Jenn walked down the aisle, she looked absolutely stunning. Her wedding dress was absolutely gorgeous. She walked down towards Bud, who became instantly emotional the second he saw her. I always love it when the groom is on the verge of tears. =) The ceremony was absolutely perfect, and Paradise Cove was such a perfect setting for it. Immediately after the ceremony, we did some fun bridal/family party photos, followed by some cocktail hour fun! The reception was great – all their bridesmaids and groomsmen had some great moves as they where introduced. After dinner, everyone partied the night away. All in all, it was a perfect night! I want to thank Jenn and Bud for letting me be part of their very special day, and I want to thank Melissa Enid Photography for letting me join in the fun! I wish Jenn and Bud endless years of happines and love! There were so many awesome moments from Jenn and Bud’s Paradise Cove wedding; and the images below recap their beautiful day! 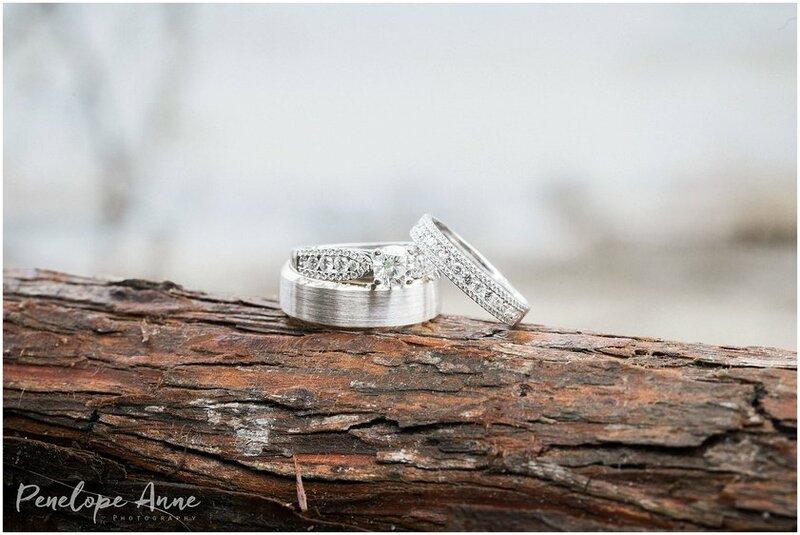 If you love these images, and would like for Penelope Anne Photography to capture your big day, please contact us at penelopeannephoto@gmail.com.